Books – not just good for target practice, you can read them too! There have been some great books and online resourses written recently on learning archery. These can be a great tool to remind and reinforce the lessons you’ve already been taught during our beginners couse and you’ll learn a whole host new skills to help you become a great archer. 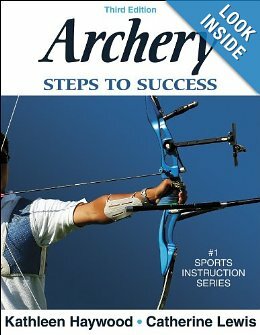 The following books are recommended for someone who has just started in archery hopefully after doing a progressive beginners course (see our courses page for current availability of our great weekend, 3 week ‘Fast Track’ or regular 5 week beginers courses in London Bridge). The best books at this level help you to develop a solid, consistent form without going into deeply technical variations on the standard elements of the shot sequence. All three of the following books provide a clear guide to building a good shot sequence and will help a novice archer achieve good consistent form. 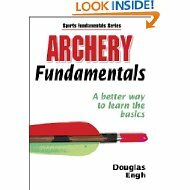 This is a very good book for people looking for a structured way to become a solid archer. Thorough – it’s a very thorough book and doesn’t miss out anything that a novice archer needs to know. Easy to follow – provides an easy to follow program of exercises and provides space to record how well you have done on each exercise. A fun and interesting way to learn. Clear illustrations – good clear photos and drawings of each step to help you to conceptualise your body position. Bow tuning – a great section on basic bow tuning so you can get your bow up to speed at the same time as you improve your form. Less rigidly structured than Steps to success, so is good if you prefer to structure your own training/learning your way. Has a very good guide on archery etiquette and protocols in competitions and in clubs. This has a very good shot sequence. It’s brief in its description but is free to look at so worth a read. It does get pretty technical though. A very popular UK archery forum, this can be a useful recourse for answering specific questions. Although do bear in mind that as it’s a forum there is often lots of arguing that can be distracting and confusing. The loudest voice is also not necessarily the most accurate! These are the ones that I particularly favour but there are many more useful resources out there. Do let us know if you have any other recommendations that you’ve found useful on your archery journey! I have the Steps to Success copyright in 1989 by these two authors. I consider it one of the greatest books, it has taught me all the basics and it does so in a thought out, clear, and simplified manner. I like the fundamentals book and the become the arrow book, I’ve also found that some of the friends I shoot with have other books that are hard to find and just as useful.